We offer an array of packages that can be customized for your event and also accommodate your budget. 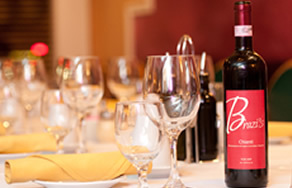 Every good meal needs a good wine. 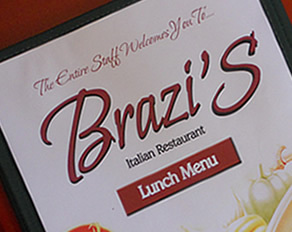 We at Brazi's Restaurant not only serve some of the world's best wines but we also have our own labeled wines. 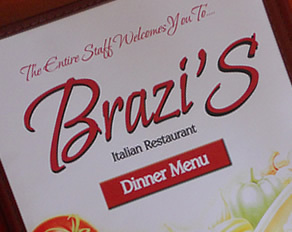 We invite you to enjoy a glass of Brazi's Chianti or Pinot Grigio with your next meal.